When my business partner and I launched our Toronto coffee company in 2012 the website wasn’t perfect, the marketing wasn't great, the packaging needed work, and we weren’t even on social media. But it didn’t need to be perfect, it just needed to be done and we could start growing our footprint. The reason for our success was that we made it our number one goal to improve every single day. Done is always better than perfect. Here are three key things we learned that led to our success. 1) Want to be perfect? good luck! New entrepreneurs often get lost trying to make things perfect; not launching until everything is exactly how they envision it. 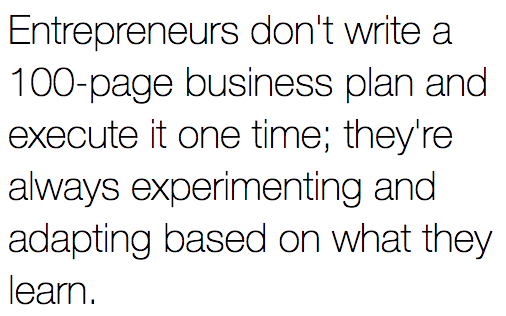 This is a common mistake and inevitably sinks most new businesses. Unfortunately, perfectionism, combined with a little OCD, are common traits among the entrepreneurial type – believe me I’ve been guilty of this! The endless rabbit hole of fancy tools, strategies, opinions, and other noise can quickly lead to a destructive cycle of attempting to make things "perfect". In business, “perfection” doesn’t exist. The most important thing any new business can do is to dive-in and make adjustments along the way. Gone are the days of perfect business plans required to qualify for a loan at the bank. That's the old, traditional business model, and is completely obsolete. Yet, many still hold the popular belief that this is what you must do before you can hang a shingle. 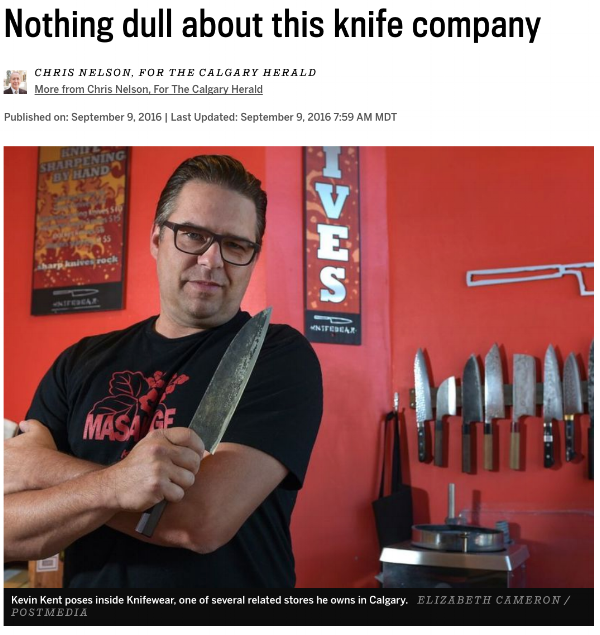 An inspiring friend of mine, Kevin Kent, founder of retail chains Knifewear and Kent of Inglewood, often mentions having never started with a business plan, and in fact, still doesn’t have one since launching in 2009. Kevin simply dove into something he was passionate about and figured it out along the way. He now owns six retail locations nationwide and ranks on the Profit 500 list of Canada’s fastest growing companies with annual revenue between $5–$10 million. In today's world, unless you're Elon Musk attempting to launch people into outer space, you don’t need massive amounts of funding to start a business (if any funding at all). For less than a few hundred dollars you can build a product, find customers, fulfill delivery and collect payments. Most importantly, thanks to social media you can get instant market feedback without the need for time-consuming focus groups or surveys. When we started our coffee company we didn’t market-test 35 different styles of coffee beans. We picked three that we liked (a light roast, medium roast, and dark roast), and started production. The market quickly told us that the light roast wasn’t overly popular, so we adjusted the type of bean which allowed us to optimize our product and in-turn drive more sales. We would never have gained this valuable market insight, however, if it weren't for the fact that we simply jumped-in headfirst and started serving coffee to customers. We could have spent months testing the plethora of available bean options, but that would have simply created the inability to ever decide on a winning bean due to the endless variation of customer taste preferences. Rather, we picked three bean styles and focused on perfecting the roasting process to match the taste profiles of the customers who liked them – those were our niche target customers; everyone else didn’t matter. Another major hurdle new entrepreneurs often struggle with is the worry of making a bad first impression. It’s important to realize there are over 7.5 billion potential customers in the world. Making a bad first impression with a mere few will not destroy your business. What will destroy your business is the inability to learn from your mistakes. If you’ve learned from your early failures, and have improved your business accordingly, new customers will continue to arrive, and the old ones will return. To combat this fear and minimize the damage of a bad first impression simply be honest with your early customers. Explain that you're a new business and ask for their feedback on your product. People, in general, love to lend a helping hand and will likely enjoy the opportunity to provide feedback. In turn, these early adopters will become your biggest and best brand ambassadors as they now have a vested interest in your success (seeing as they were the ones who helped shape your product). In my coffee days, we gave out free sample packs in exchange for customer feedback. People were happy to share their opinions with us, especially if it meant we could build them an even tastier, more delicious cup of coffee. The result was a legion of early supporters who were excited to try our next batch. In fact, a quick poll of our foodservice customers is what led us to the selection of a more popular light roast, which quickly became one of our best-selling SKU’s! Experience can’t be learned it has to be earned, and the only way to gain experience is to start something and see where it goes. So, stop stalling and get in the trenches; adapt along the way. Don’t worry about getting all the perfect pieces in all the perfect places. In business, there’s no such thing as “perfect". If you think your business is perfect it’s only a matter of time before it implodes (or fails to even launch). To stay in business you must constantly improve – to succeed is to grow. If you have an iPhone you know how frequently software updates are released. Apple knows their initial versions of iOS are never perfect, but it’s the market feedback and willingness to adjust along the way that keeps them thriving in the top spot. In business, progress and growth are the only keys to success; "perfection" is nothing but a fool’s errand. what's your biggest psychological hurdle as an entrepreneur? Share your advice in the comments below.